Scholastic success has largely been associated with the ability to develop and utilize skills in students that reflect the kinds of traits that are typically found in successful lifelong learners. This has, however, been a complex task that has left education in a state of flux as teachers and administrators struggle to work out the best way to equip students with subject knowledge and metacognitive skills. In addition to the complexities found in formal educational systems, non-formal educational systems seem to have been marginalized, leaving these educators in a conundrum as to how best to address the needs of lifelong learners who have left formal schooling behind to peruse further education in non-formal contexts. This phenomenon is especially evident in non-formal classrooms where foreign languages like English are typically taught to Second and Third Age learners. 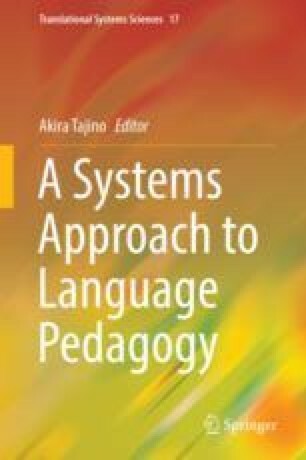 Therefore, this chapter proposes Soft Systems Methodology (SSM) as an approach to take when trying to deal with problematical educational systems in general and also to offer guidance to practitioners from non-formal learning systems. To this end, a case study is presented to demonstrate how SSM can be used to deal with some of the messiness that exists in educational contexts. This case study, based on a sampling of Third Age learners studying English as a foreign language (EFL), reveals how SSM is a sustainable way to help all of the stakeholders of a system work together to take action that aims at improving their system, which, in the case study presented here, meant discovering how to take action to improve learning by trying a new way of learning English grammar.